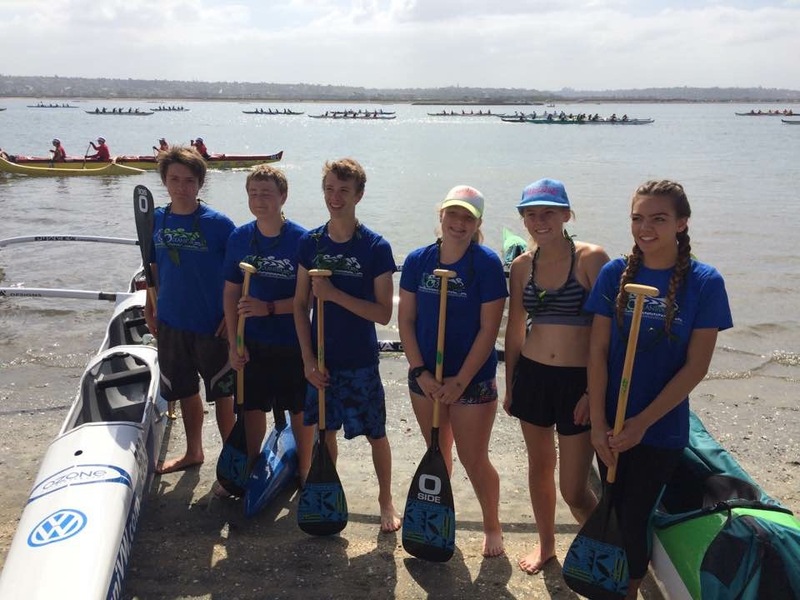 Our Keiki/Junior program focuses on Outrigger paddling techniques and fundamentals, but that is only part of it. 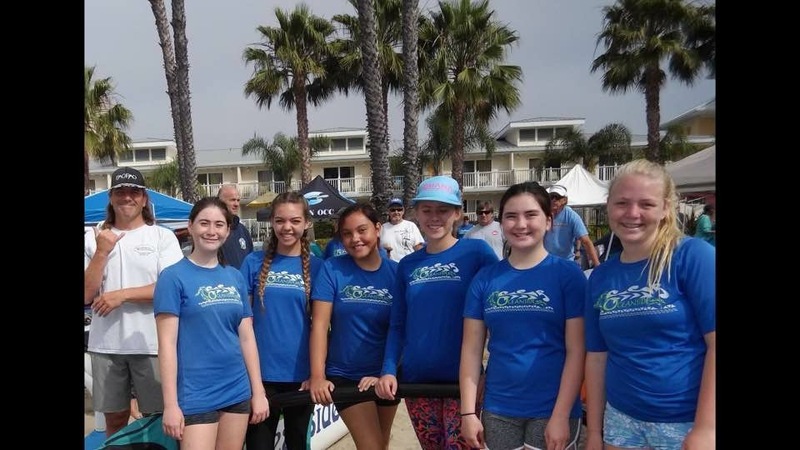 Outrigger canoeing is a sport that helps to build self-esteem and give a sense of adventure. 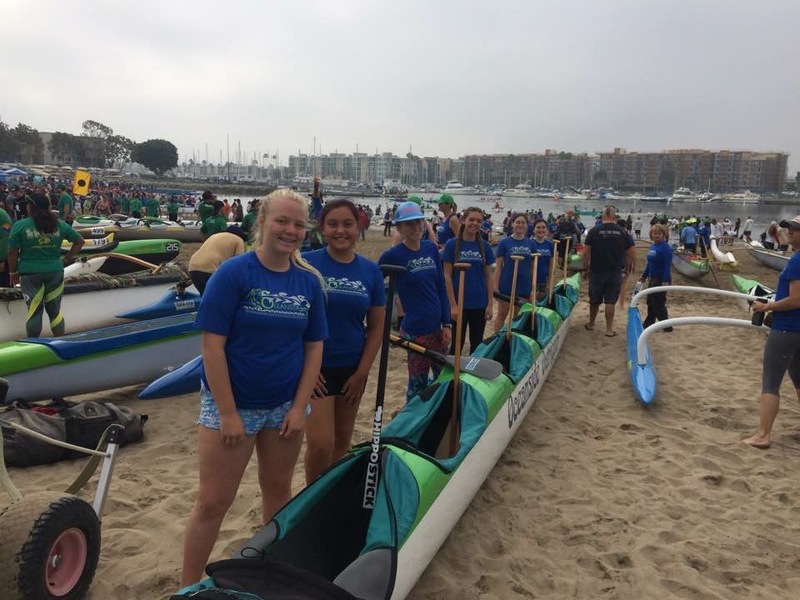 Not only do we learn about paddling we learn about the canoe, Hawaiian culture and respect for the ocean. Here at OOCC Keiki’s, we care about our community and our teammates. 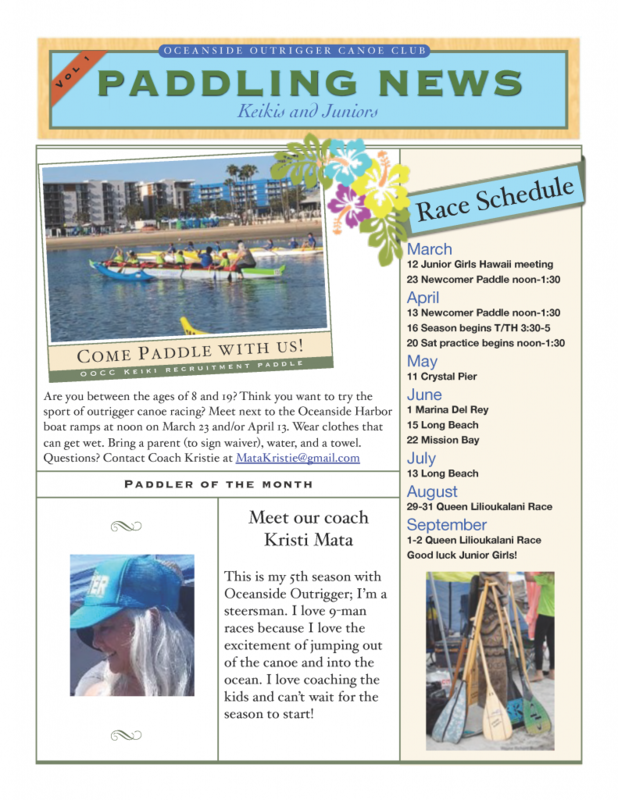 We welcome all Keiki’s 10 to 19 to join us and become a part of this amazing sport and family (Ohana) of paddlers. 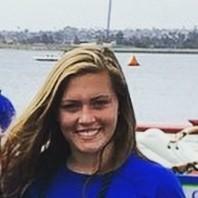 Hello, My name is Kristie Mata and I am the coach for the Junior/Keiki program here at Oceanside Outrigger. I am SO excited to coach again this year and cannot wait for the season to start. 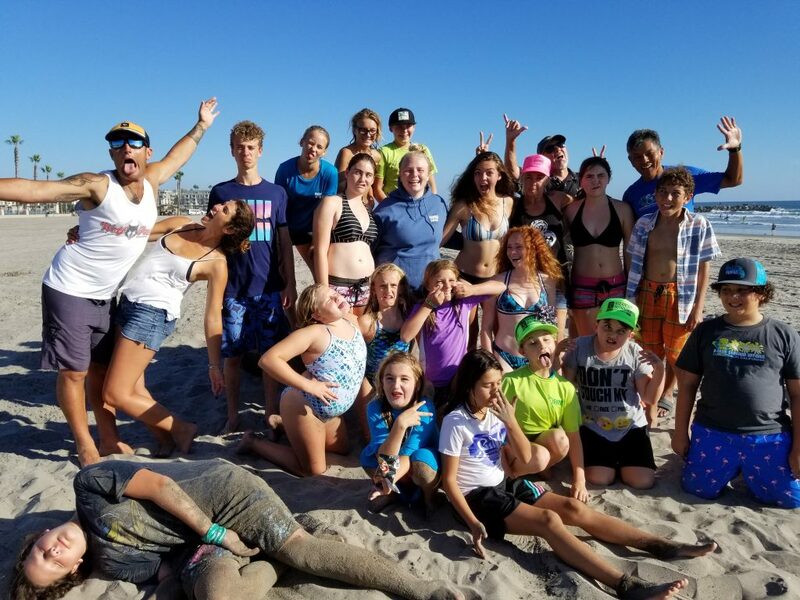 Last year was an AMAZING season filled with paddling, sun, fun, swimming, and new friends. I am looking forward to seeing what this season has in store for us. 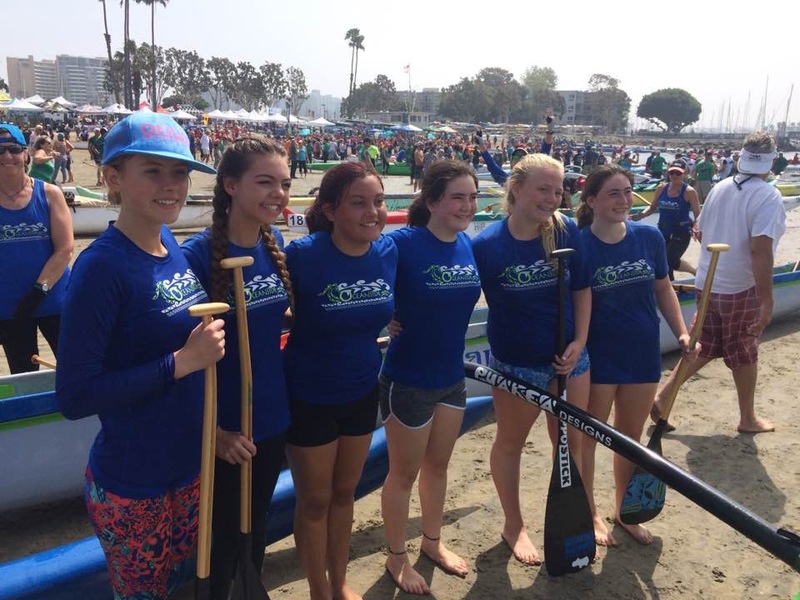 Our program is all about teamwork, respect, and love for paddling. Teamwork—meaning we work together in the canoe for a common goal, supporting and encouraging each other. Respect—meaning we respect each other in and out of the canoe. 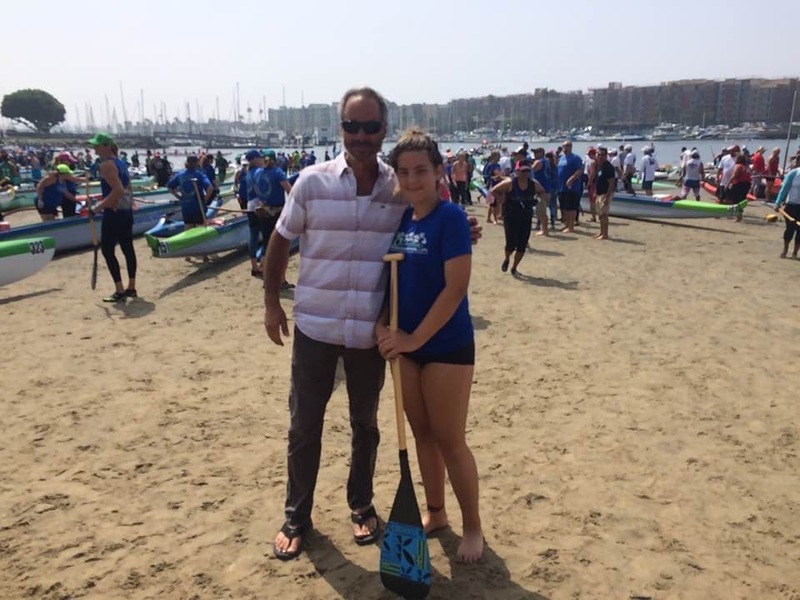 And love for paddling—well, it’s why we are here, to get out on the water in a canoe to play and have fun. We also race, and competition is a big part of what we do. 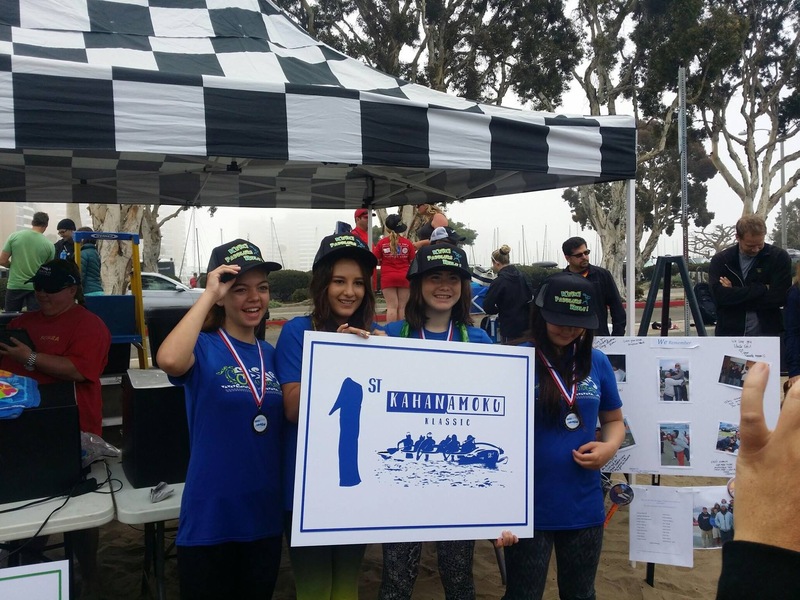 We will be competing in several races along the coast, from Mission Bay, San Diego to Long Beach. Our races consist of 2 to 5 mile courses, sprints, and for some of us, a 9-man race. We challenge ourselves to accomplish more than what we think we can and we create a bond with our team mates that will last a lifetime. Eight years ago, my dad told me about the Keiki program with oceanside outrigger. Little did I know this conversation would eventually influence the hobby I have developed today. The first time I sat in a canoe, I thought to myself this is the worst thing of my life. I was people who were way older than me, doing a sport I have never done and in an environment, I was not familiar with. As a little nine-year- old girl, in that moment, I never would have believed I would still be doing something I am so passionate about today. Eight years later, and counting, this sport has brought so much to me. This sport has taught me self-discipline and taught me that I need to work hard to accomplish something that is worth telling people. And of course, all of the memories paddling has created is invigorating. 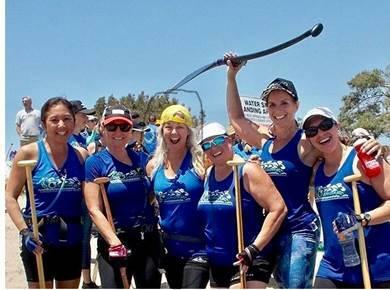 The most vivid experience that ever occurred in my current paddling career is passing the finish line in Avalon, Catalina. I and 8 other teams mates trained for months for this moment and every second were worth it. 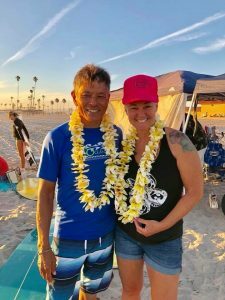 I doubted myself so many times and told myself I was crazy for wanting to paddle 30 miles across the Pacific Ocean to a tiny island off the coast of my home state. There was so much to know in order to accomplish this race. This race helped me understand so much about myself. I learned that 30 miles of a paddle is so physically straining but so mentally rewarding. I am truly blessed for my coaches and teammates encouraging me to do something that not the average 16-year old girl would be doing one weekend. However, my dad is the reason I went through with my decision to do the Catalina race. He taught me that once you start something you must finish it. The last thing I wanted to do was disappoint my dad. 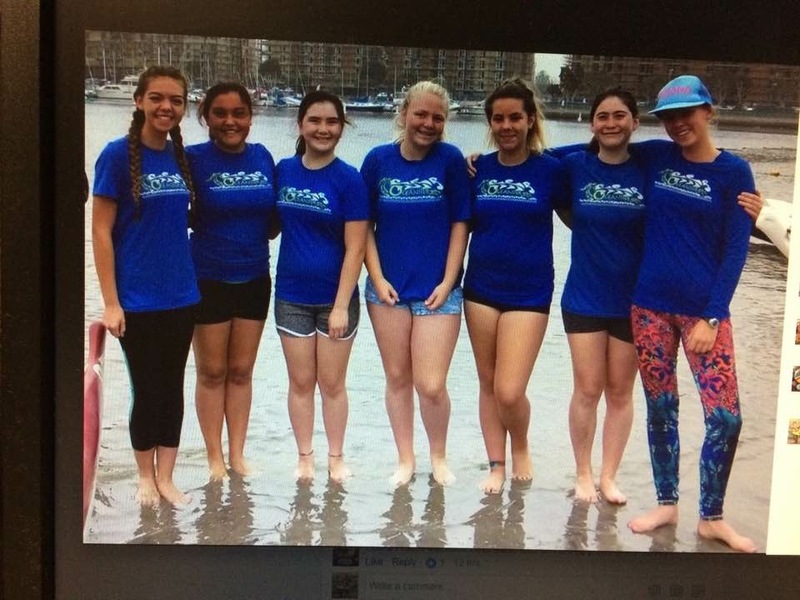 I woke up one morning at 4 AM and drove to Newport Beach, where little did I know, I would be indulging in the experience of a lifetime. Around 3 hours later, I was in the canoe and on my way to the finish line. I was hoping for the best conditions out there, wind going in our direction and no swell. Obviously, nothing is perfect and that was not the case, the wind was in every direction and the swell was bumping from all over. I thought to myself everything was going to be okay. I am so happy I told myself this because six hours later we crossed that line and everything I had worked for and all the practicing I have done since I was nine years old had paid off. 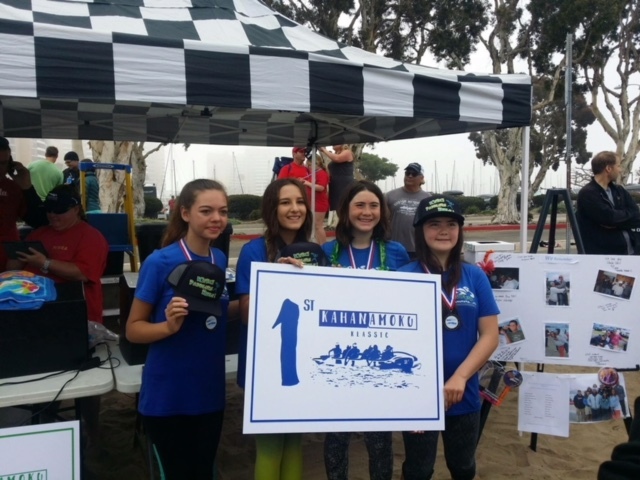 The first thing I did when I jumped out of the canoe was hugged all my teammates because I would not be the paddler I am today if it was not for them. The most important thing I did was called my dad and told him I finished the race and I explained to him how hard I have worked and how in shock I was for actually just accomplished this. I am very fortunate to have my dad always encouraging me through my life especially with the thing I enjoy the most.